According to new research on smart devices from Parks Associates, 1 in 6 US broadband households have more than one smart home device. Additionally, nearly half of the smart thermostats purchased in 2017 were upgrades from older models. 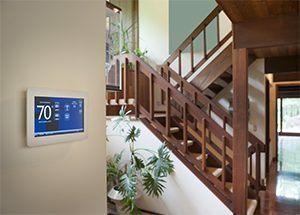 16% of smart thermostats were purchased through HVAC dealers. Findings suggest that households that buy a smart thermostat tend to purchase a smart speaker with a personal assistant. Consumers tend to purchase their second or third smart home device incrementally. 26% of US broadband households own at least one smart home device, showing industry progress moving from device adoption among early adopters to the early majority. 13% of US broadband households have a smart thermostat. Smart home device brands are challenged to look at device adoption drivers. For additional findings on Parks Associate’s 360 View: Smart Home Buyer Journey and User Experience, click here.